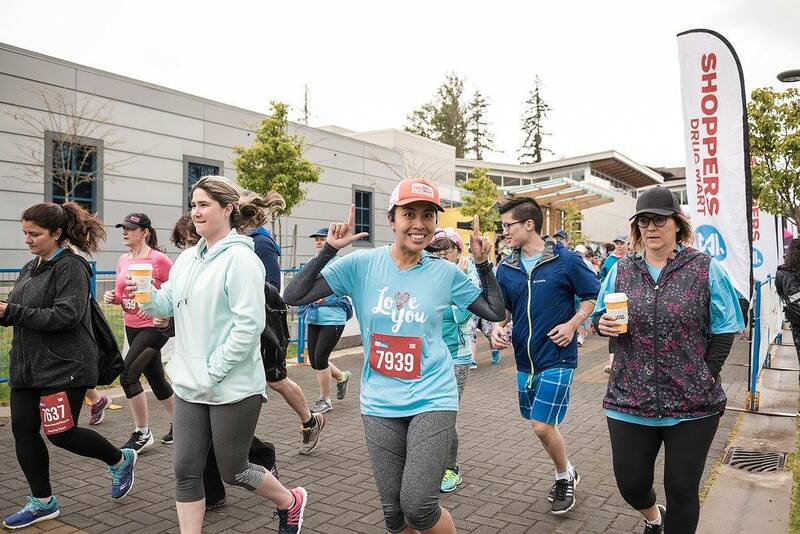 Would you like to run a race that also gives back to a great cause? 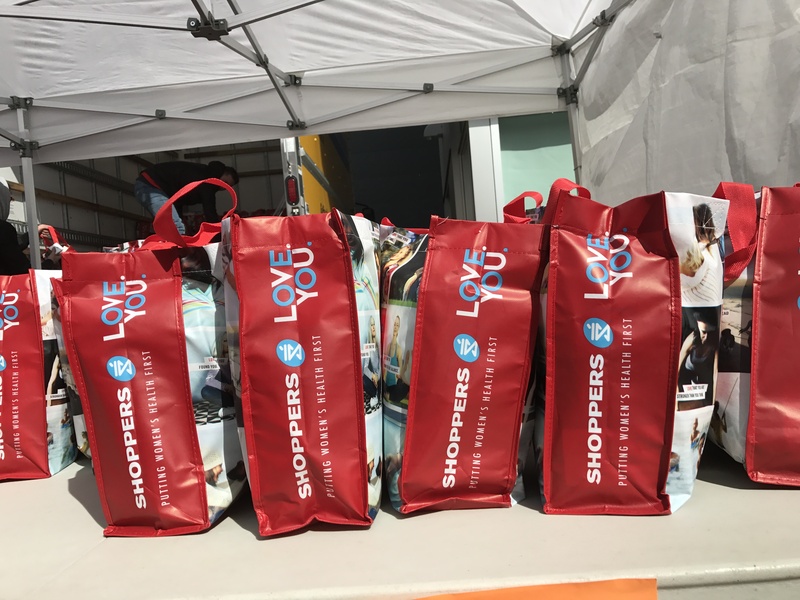 You should definitely sign up for the Shoppers Love. You. Run for Women next year. This was my first year doing it and I have to say, I had a blast… on and off the course. The Shoppers Love. You. 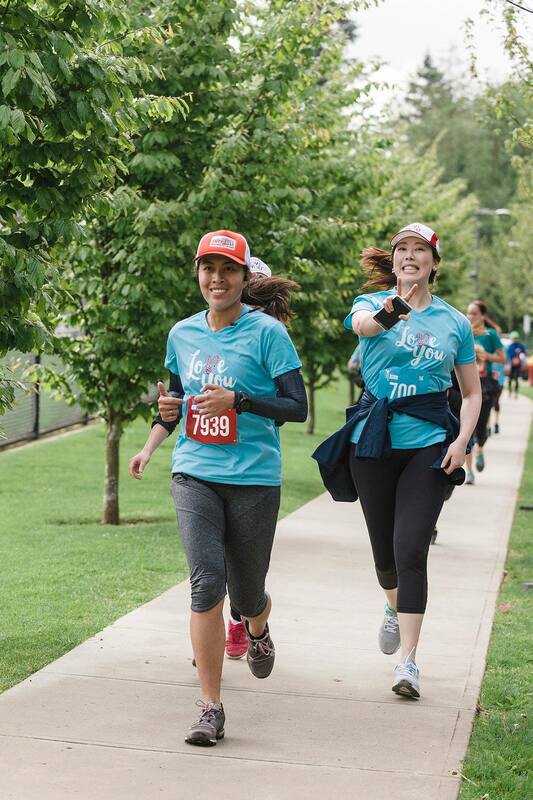 Run for Women occurs in 15 cities across the country from April until June. They support mental health programs across the country and runners may raise funds on their own as well. Making people aware of the positive effects of exercise to improving mental health is also an awesome thing. They don’t call it runners’ high for nothing! 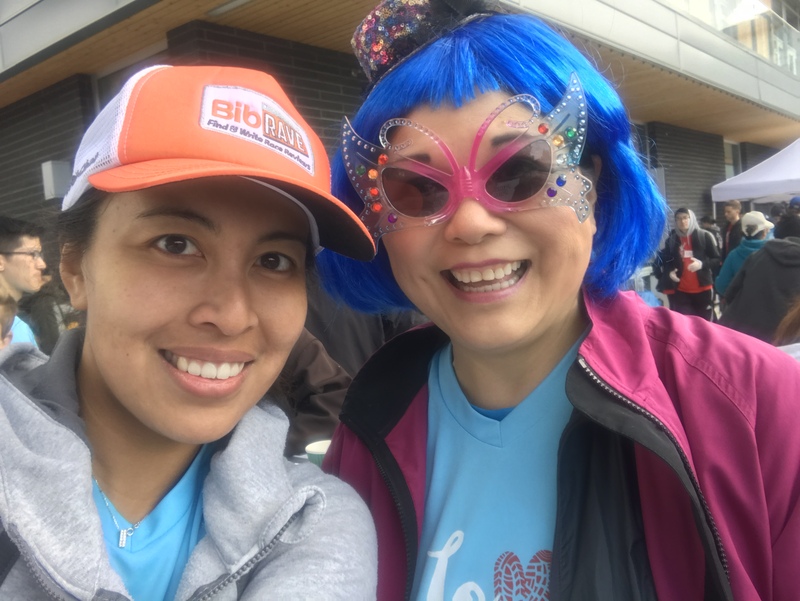 In Vancouver, the run is benefiting BC Women’s Hospital’s mental health programs. If you didn’t run but would still like to donate, you can do so directly to BC Women’s here. Runners can sign up for a 5k or 10k course. It starts at Wesbrook Village in UBC and heads into nearby Pacific Spirit Park, so it’s a mix of road and trail… but mostly trail. It is a beginner-friendly course as it’s mostly packed gravel with minimal tree roots. You do not need trail runners for this race. There seemed to be a lot more downhill than uphill, which made it more fun. At least the uphills weren’t ridiculously steep. If you’re new to trails, it will seem tougher since you have to get used to having less traction. My advice is to take your time, after all this is a fun run and you’ll be among tall trees, which is a pretty cool sight to see. This is where the Run for Women impressed me. I picked up my race package at the Denman Running Room and it included a t-shirt, a coupon book for Wesbrook Village (with pretty decent deals) and a 25% discount at Running Room for all runners. It was the perfect opportunity for me to buy extra socks and some BUFF® headwear that I can wear in Berlin. 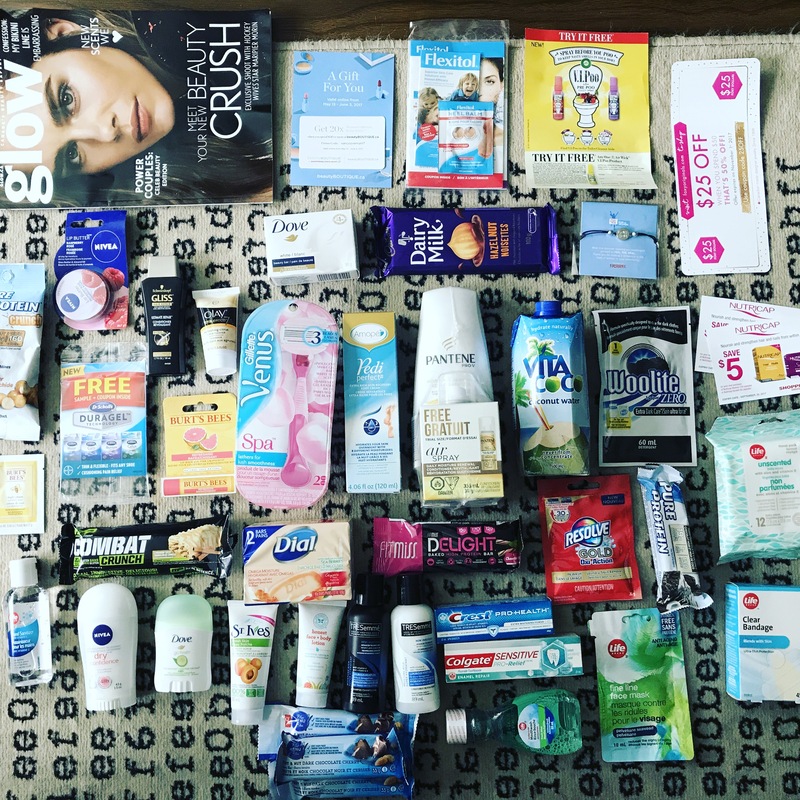 After the race, runners were treated to a Shoppers Drug tote bag filled to the brim with $100 worth of items like moisturizer, shampoo, conditioner, chocolate, and various other products! I mean look at this. 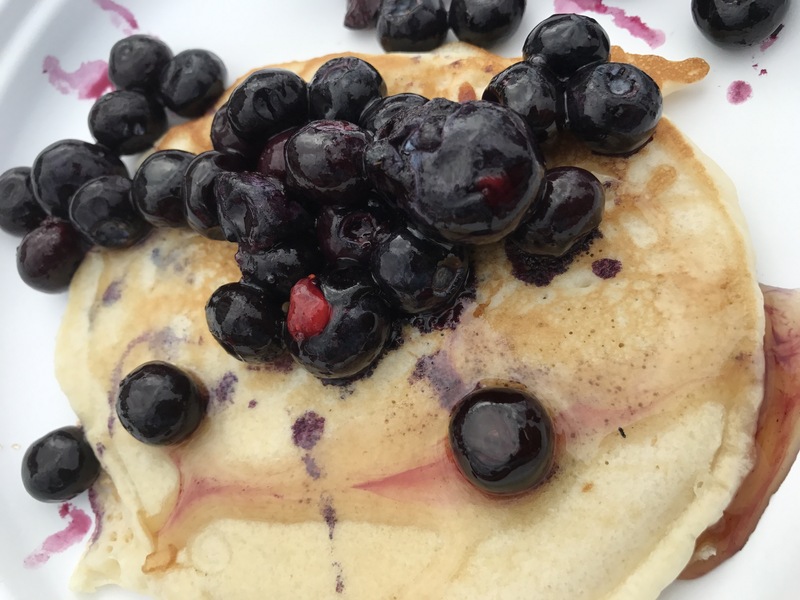 In addition, runners were treated to a pancake breakfast at the finish line and bottles of flavoured water. Package pickup and gear check were also available on race day so that was pretty convenient. Instead of medals, runners are rewarded with bracelets they can wear on a daily basis. For a $50 or so entry fee, you really get your money’s worth. This does sell out so register quickly. My colleague asked me to run this race and I was well aware that it was a week after the marathon. Miraculously, my muscles seem to have recovered, I guess I’m getting fitter. The last time I ran a marathon, I could barely walk for a week. Since this was a fun run anyway, I just did what I could. I felt great on race day but I did’t eat much breakfast. Had I prepared a little better, I probably would’ve gotten a sub-1 hour time. I ended up with 1:00:43. I’ll take it as a win since this course was on trails and it wasn’t flat. At the 7 km mark, I felt the effects of not having much energy, but I soldiered on. Let’s just say that after this race, the fatigue of the marathon and whatever I’ve done since, finally caught up to me. It was great to see some friends there like Debra, all dressed up as usual and looking fab. And of course thanks to Corinne from Van City Fitness for asking me to join her team for this fun race. Yes, definitely. 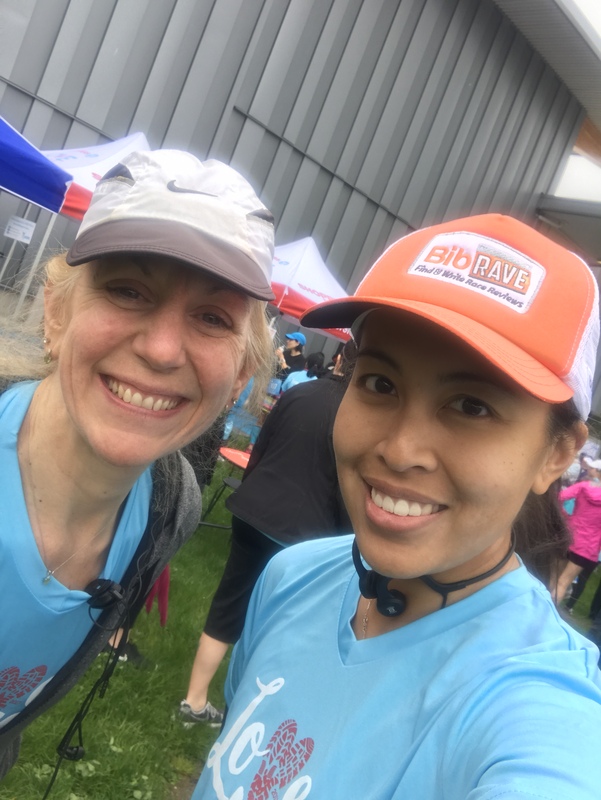 Running through Pacific Spirit Park is always a treat and you get so much out of this race: good karma for supporting a great cause, a swag bag that’s packed to the brim, a pancake breakfast, and the gift of fitness! It’s also easy to get to without a car. You can get there via bus or car share as well. It was a fun event and I’ll be sure to check it out again next year.